From reducing food waste to managing waste recycling effectively there is always more we can do in our communities. Below are just some of the initiatives available online. My Waste, Ireland’s official guide to managing you waste. Here you will find everything you need and want to know about managing your waste responsibly, efficiently and in the way that suits you. 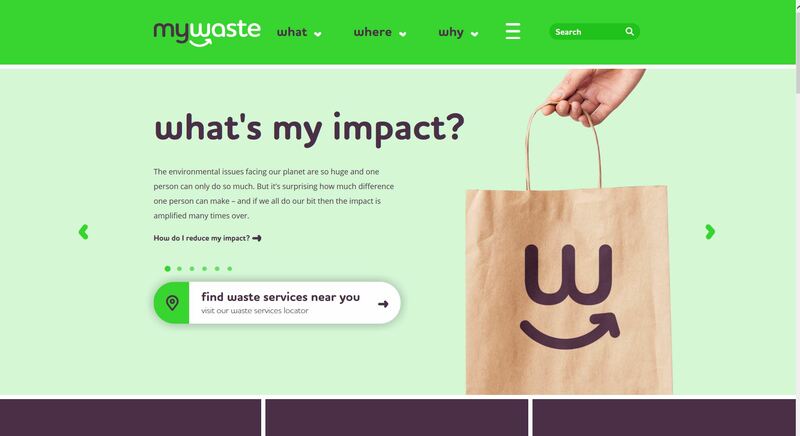 Browse this site for your local waste services; bring banks, recycling facilities along with ways to help you prevent waste, reuse and upcycle. Yon can find our a to z guide here but if you can’t find the item you are looking for please get in contact with us through social media and we will gladly help where we can. 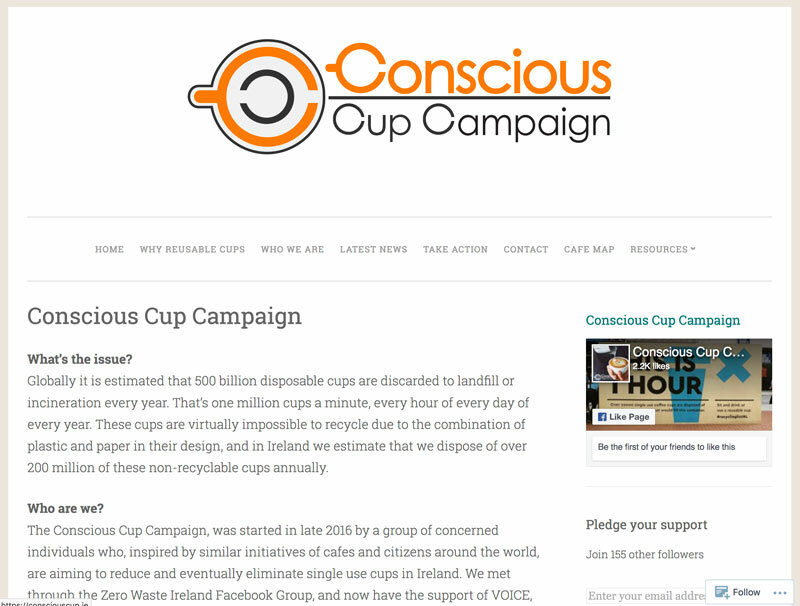 The Conscious Cup Campaign, was started in late 2016 by a group of concerned individuals who, inspired by similar initiatives of cafes and citizens around the world, are aiming to reduce and eventually eliminate single use cups in Ireland. 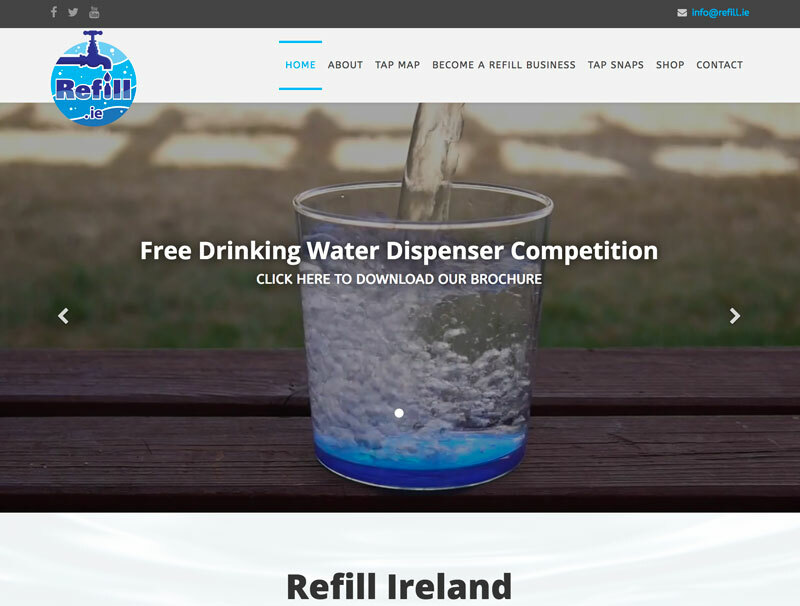 Refill Ireland is an environmental project aiming to make Irish towns and cities tap water refill friendly for everyone while on the go (like the old days!). They locate and encourage the creation of locations for filling your reusable water bottle for free. 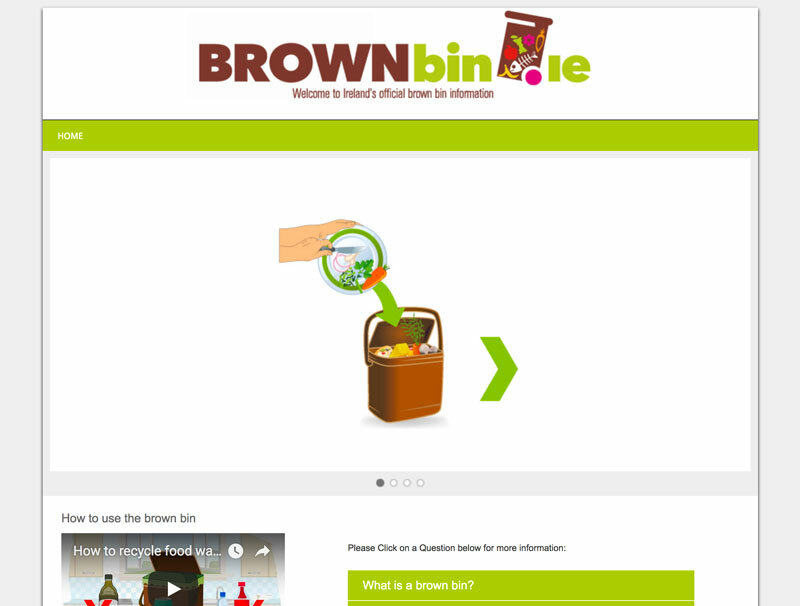 Brownbin.ie is the official website for information on how to recycle food waste in Ireland. It is a helpful resource for anyone with a brown bin seeking to find out as much as possible about how to get the most out of using it correctly. 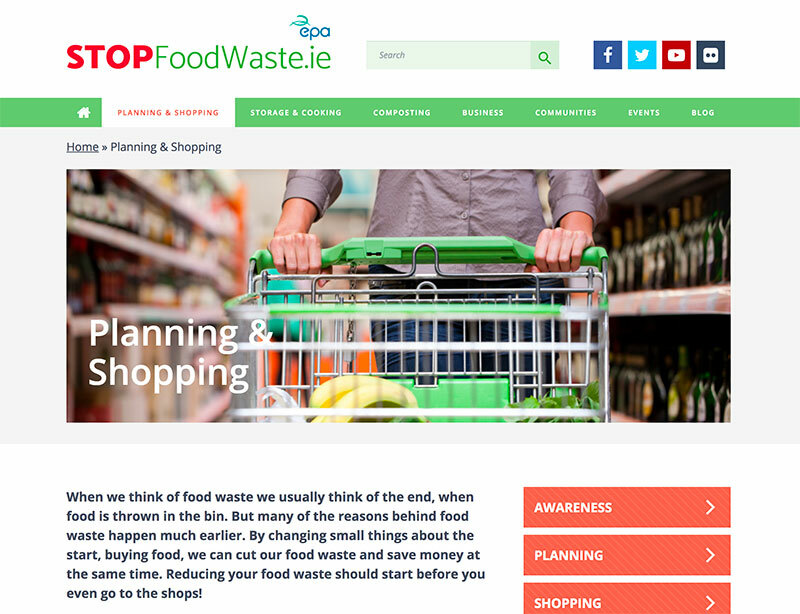 It features printable instruction leaflets and resources for Waste Collectors along with tips to reduce food waste. 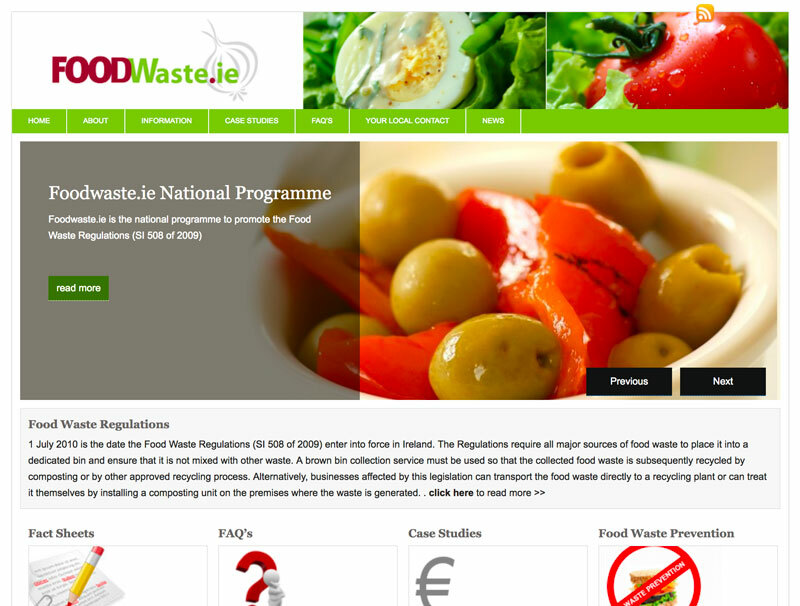 FoodWaste.ie is the national programme to promote the Food Waste Regulations and is an initiative of the Department of Environment, Heritage and Local Government and Cré-Composting & Anaerobic Digestion Association of Ireland.